BRASILIA — Brazil’s suspended president Dilma Rousseff admitted on Tuesday she had made mistakes, but said she had done nothing worthy of impeachment in an address just over a week before she goes on trial. Rousseff, accused of using illegal budgetary maneuvers to cover up the depth of the country’s economic problems during her 2014 re-election, faces trial in the Senate starting on August 25, four days after the Olympic Games end in Rio. With her impeachment trial looming, the Brazilian Federal Supreme Court also authorized on Tuesday the opening of an investigation into Rousseff and her predecessor Luiz Inacio Lula da Silva, for allegedly trying to obstruct a corruption probe into the state oil firm Petrobras. Rousseff said that if she was spared by the Senate, she would back a referendum on holding early elections and electoral reform to carry out a "deep transformation" of a system that most Brazilians consider rotten. "I have listened to the tough criticisms of my government, for the errors committed," she said. "I accept these criticisms with humility and determination so that we can build a new way forward." But Rousseff repeated her insistence that forcing her out through impeachment amounts to a coup. "We have to strengthen democracy in our country, and for this it will be necessary for the Senate to close the impeachment process underway, recognising, given the irrefutable evidence, that there was no crime of responsibility. 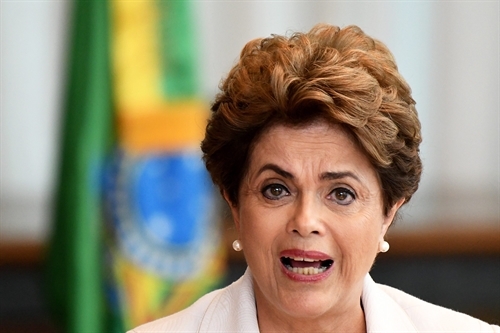 "I am innocent," Rousseff insisted. "There is no injustice more devastating than to condemn an innocent person." The Globo news organisation reported that the actual judgment vote will take place between August 30-31.